​You’re pregnant and you want the best possible start for your family. The Mom’s Empowerment Program can help. We provide support and education for women and their families throughout pregnancy and until the baby’s first birthday. 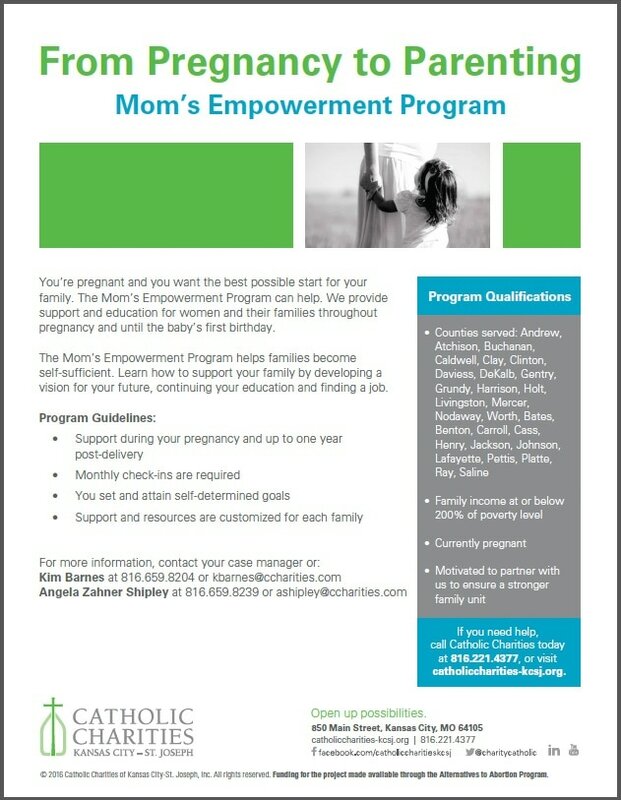 ​The Mom’s Empowerment Program helps families become self-sufficient. Learn how to support your family by developing a vision for your future, continuing your education and finding a job. ​Catholic Charities is pleased to announce the development of a new program — St. Germaine’s Little Lambs. This program is designed to provide social, emotional and behavioral support for parents and caregivers with children ages 0-60 months. This individualized assessment provides you with the tools to monitor the development of your child. This will prepare your child for success in early childhood. We also offer parenting classes, emergency financial support and case management to help strengthen families and remove barriers. ​For more information, contact Kenyetta Canady at 816.659.8208 or kcanady@ccharities.com. 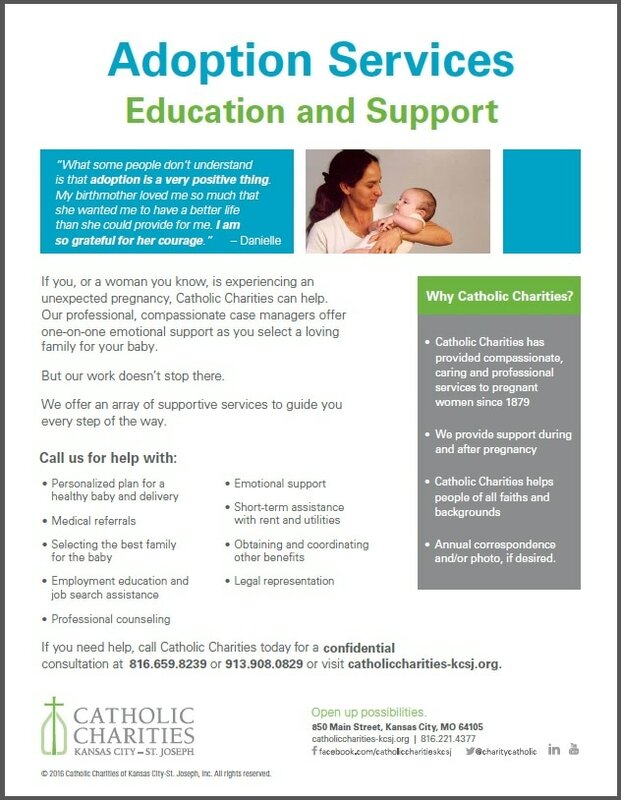 If you, or a woman you know, is experiencing an unexpected pregnancy, Catholic Charities can help. Our professional, compassionate case managers offer one-on-one emotional support as you select a loving family for your baby. If you need help, call Catholic Charities today for a confidential consultation at 816.659.8239 or 913.908.0829 or visit www.catholiccharities-kcsj.org.